—Make your clients bankable. Faster. 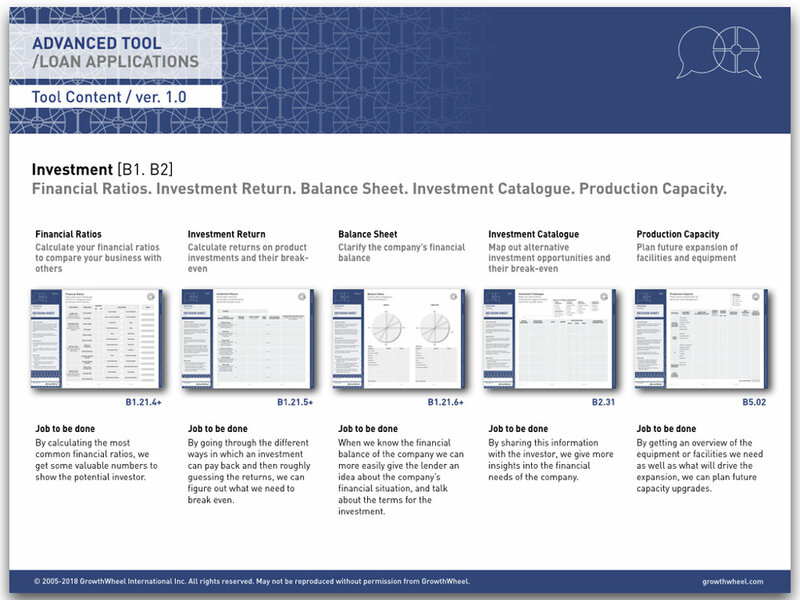 A brand new tool for all business advisors who would like to work smarter, save time on counseling, and help clients get the funding they need. As a business advisor, you spend a lot of time helping your clients prepare a convincing loan application. 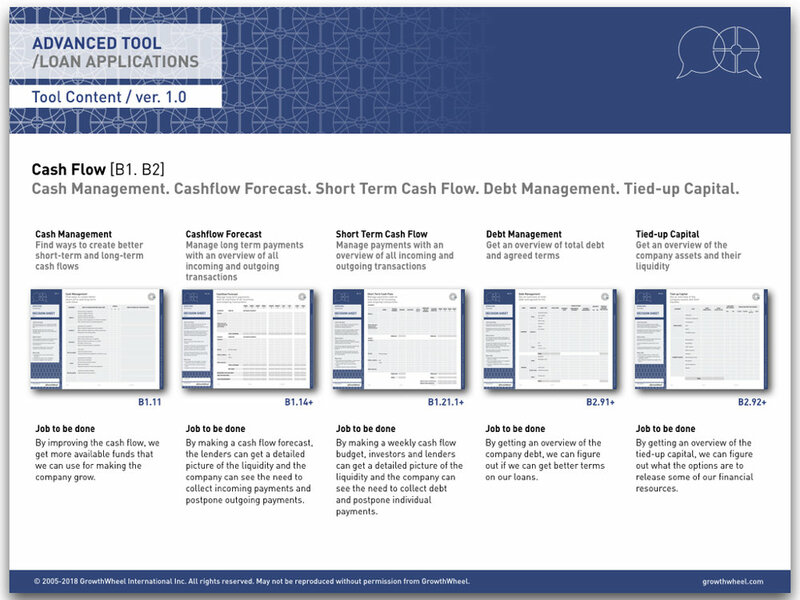 This new toolstack is for business advisors who would like to save time on counseling , help clients prepare their loan application, and improve their chances of getting the funding they need. We have co-created the toolstack with experienced business advisors who know how much time you can end up spending on counseling clients. 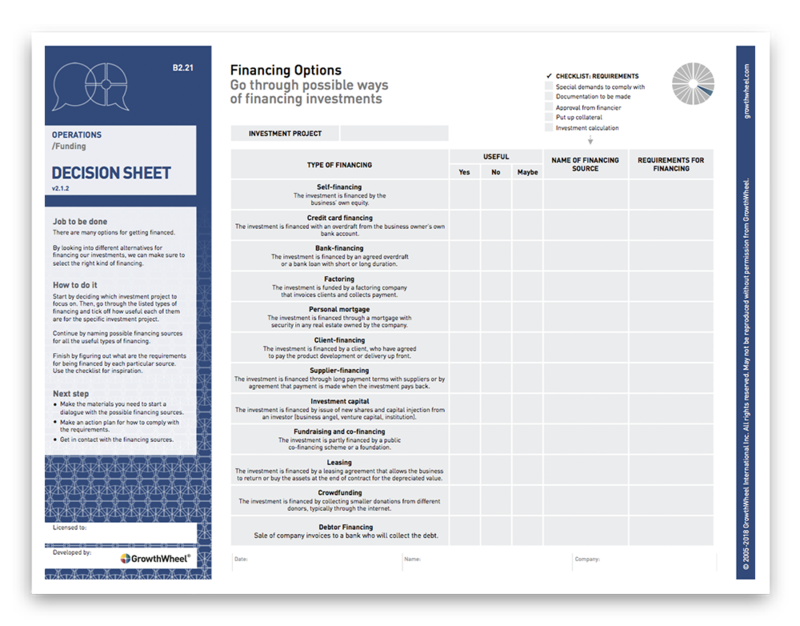 The 20 visual Decision Sheets will help you and your clients prepare all the documents needed in a convincing loan application. 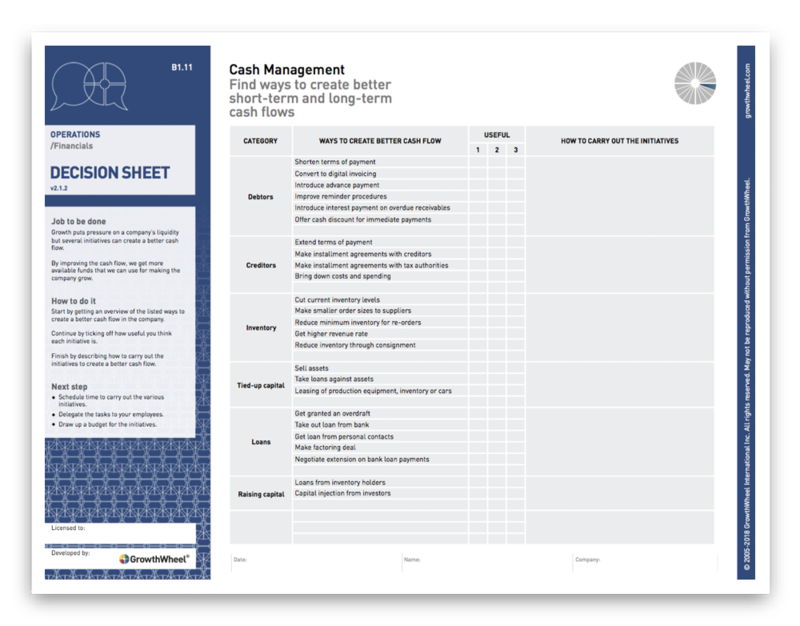 Find ways to create better short-term and long-term cash flows. Go through possible ways of financing investments. By looking into different alternatives for financing our investments, we can make sure to select the right kind of financing. 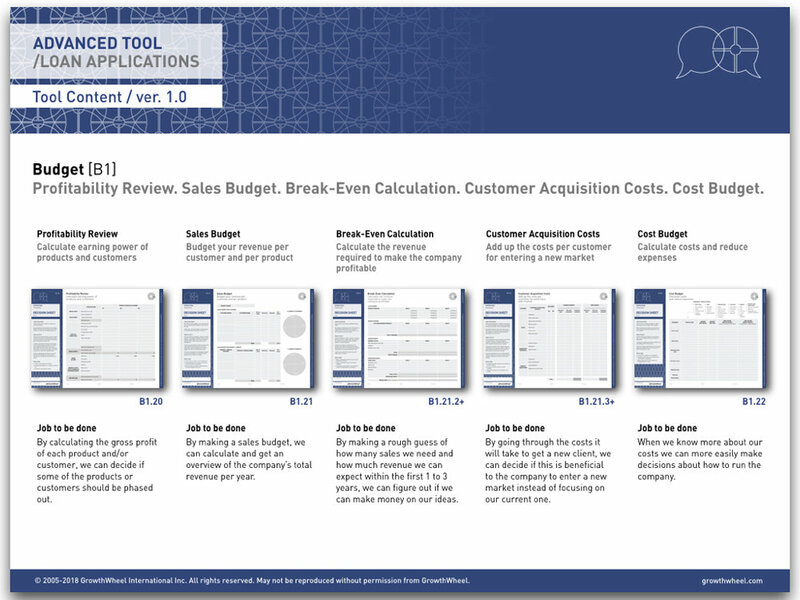 Budget your revenue per customer and per product. By making a sales budget, we can calculate and get an overview of the company’s total revenue per year. Calculate your financial numbers to show the investor. By calculating the most common financial ratios, we get some valuable numbers to show the potential investor.